Filters every drop of water entering the house, providing clean water to kitchen sinks, refrigerator, bathroom sinks, showers, tubs, dishwasher, and washing machine. 4-Stage Filter that softens water without salt or chemicals. Premium, ultra compact, specially treated coconut shell carbon and acid washed bituminous carbon is excellent for its ability to adsorb organic contaminants such as chlorine, herbicides, pesticides, industrial chemicals, trihalomethanes (THMs), and many more poisonous materials. The list is long and that is great for you. KDF Media further control heavy metals, toxic gases, chlorine, hydrogen sulfide, calcium carbonate, magnesium, chromium, bacteria, algae, fungi, and more! Fine silica quartz filtration media which removes dirt and sediment. 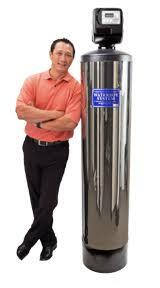 Natural water softener leaves healthy minerals in! The patented multi-field water conditioning unit is a critical component in every Water Boy system. The multi-field module conditions the water non-chemically by restructuring and realigning the polarity of the mineral molecules, without removing the minerals from the water. Optional 5th Stage Fluoride removal tank.
. "Set it and forget it"! An internal sediment filter of fine silica quartz filtration media which removes dirt and sediment in the water. Patented K.D.F. 55™ redox media consisting of high-purity copper-zinc granules, which improves performance of the carbon to last longer. The patented multi-field water conditioning unit is a critical component in every Water Boy system. The multi-field module stands head and shoulders over any presently used system in the world today. The multi-field module conditions the water non-chemically by restructuring and realigning the polarity of the mineral molecules, without removing the minerals from the water. It’s water that feels better, tastes better and improves every appliance that uses water. Conditioned water cleans better and has a natural smoothness to it without removing the calcium and magnesium. In contrast, traditional water softeners add sodium or potassium to the water , which requires regular cost and maintenance. With the WATERBOY™ System, you never have to add anything, which makes it maintenance free. No maintenance is required because the system automatically back flushes, rinses and cleans itself between two and four times per month depending on usage. In most cases a filter change is not required for approximately 10-15 years. You don’t have to do anything except enjoy the benefits of fresh filtered, conditioned water always tasting terrific. Dr. Clark and other respected researchers have found that Activated Charcoal, or Carbon, is the very best product for eliminating polluted chlorine in your water supply. Activated Charcoal is charcoal that has been treated with oxygen to open up millions of tiny pores between the carbon atoms. The use of special manufacturing techniques results in highly porous charcoals that have surface areas of 300-2000 square meters per gram. 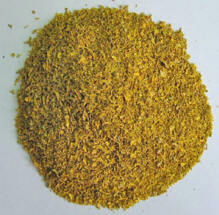 Activated Charcoals are widely used to adsorb odorous or colored substances from gases or liquids. The huge surface area of Activated Charcoal gives it countless bonding sites. When certain chemicals pass next to the carbon surface, they attach to the surface and are trapped. 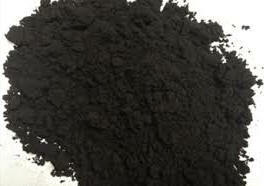 Also, Activated Charcoal removes some substances by catalytic reaction known as redox. (chlorine, for example). We have carefully selected from many sources the highest quality Activated Coconut Charcoal (Carbon) available on the market. We pre-treat it with hot water so you can start using your Whole House Water Filter immediately—without an initial hot-water backwash. Solid carbon media is subject to “channeling.” Channeling refers to water passing through least resistant path of the carbon pores, thus reducing contact time with carbon. The result? Your water can pass right through the solid carbon media on these “familiar, friendly pathways” with only a minimum of filtering! Loose Carbon Media, on the other hand, can be periodically repositioned by means of a hot-water backwash. This means that your water will not be able to establish those familiar, friendly pathways that enable it to pass through your system virtually unfiltered. With periodic hot-water backwashes, your Whole House Water Filter will always perform at an optimum level to provide you and your family with clean, fresh tasting water. More on carbon filters. Below is a partial list of contaminants the Activated Charcoal Whole House Water Filter removes from ordinary tap water. For a more complete indicator on these an other pollutants, please see this "White Paper" on The Ability of Activated Carbon to Remove Various Substances From Water. Why KDF (Kinetic Degradation Fluxion) - "Redox"
Water boy Multi-Reversing Technology Polishes your water! 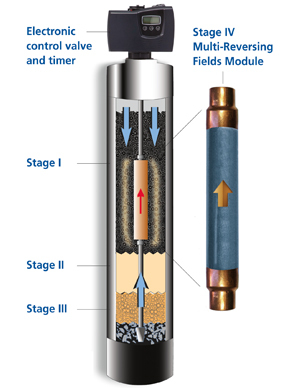 Superior Water’s Multi-Reversing fields technology, patented since 1964. • No cartridge filter change, no maintenance. • Peace of mind knowing that every drop of water flowing through your home has been filtered and conditioned safely. Traditional water softeners developed in 1938 using salt or potassium for regeneration. • The inconvenience of lugging bottles of water from store and sometimes running out, inhibits the habit of drinking water. Q. 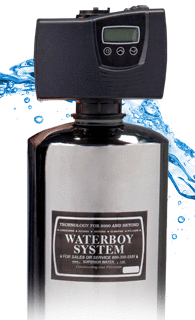 What is the difference between the WATERBOY™ System and a salt or potassium soft water system? A. The difference between the WATERBOY™ System and a salt based system is that the WATERBOY™ system does not require any salt or chemicals. The disadvantages of a salt or potassium water softening system, is that it addresses only one problem, and that is the hardness of the water, it does not filter the water. Salt based systems remove calcium and magnesium minerals and exchange them for sodium chloride or potassium chloride. The result is that there is salt throughout the house, which you have to shower or bathe in, as well as the additives the city puts in the water. 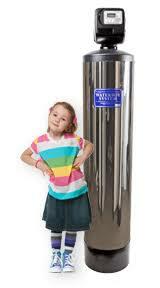 Drinking the salt water is not recommended, so a reverse osmosis unit is usually installed to remove the salt. A salt system requires lugging bags of salt or potassium and/or having an exchange unit that requires service people to enter your property on a regular basis. Another disadvantage that we hear from our customers, who have had salt systems, is that they have to replace their hot water tank every 3-5 years, due to corrosion. Q. What kind of maintenance does it require? A. There is no maintenance, no salt to add, and no filters to change for 10-15 years. Q. What does the back wash control valve do? A. The control valve automatically puts the unit into a back wash mode once a week, which repositions all filtration media, washes out all of the filters, regrades the beds and goes out a 1/2 inch PVC line to a lawn, garden or drain. Q. Where does the unit get installed? A. Most units are installed close to the main water line, which is usually in the garage, or close to it. Q. How much water is used for the weekly back wash? A. It depends on the size of system, between 25-40 gallons, once/week. Q. Do I need a reverse osmosis unit? A. No, the WATERBOY whole house system eliminates the need for any reverse osmosis unit, because there is no salt or potassium to remove. Q. 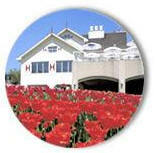 What are some of the economic benefits of the WATERBOY whole house system? A. • No salt or potassium to purchase. 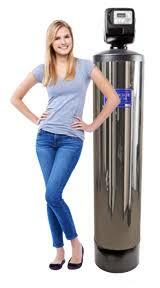 • No reverse osmosis unit, which requires regular costly filter changes. 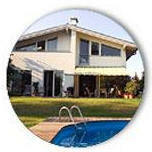 • Extended life of plumbing, no replacing of calcified pipes or faucets. • No water loss from reverse osmosis unit. (they waste from 2 to 5 gallons for every gallon they make). • No filter changes for 10-15 years. Q. How long does it take to install a WATERBOY System? A. A WATERBOY system takes 1-3 hours to be installed. Q. How do you know when to change the filters? A. The industry standard is that 1 cubic ft. (of granular active carbon) will effectively filter 1 million gallons of water. For example, the WB2000 has 1.5 cubic ft. of granular active carbon. The average family of 4 uses about 70 thousand gallons of water per year, excluding irrigation. This means that in 10 years 700,000 gallons of water would be used, and in 20 years 1.4 million. Since the WATERBOY 2000 will filter 1.5 million gallons, it would take over 20 years before the filters would need to be changed. If the filters are changed between 10-15 years, they are well within that range. Q. What does the water taste like? A. Superior water tastes like mountain spring water, because the minerals are left in the water, which gives it a very clean and flavorful taste. As a matter of fact, many bottled water companies are adding minerals to their water to make it taste better. Q. How do I know what size unit to order? Q. Does the Waterboy filter remove fluoride? 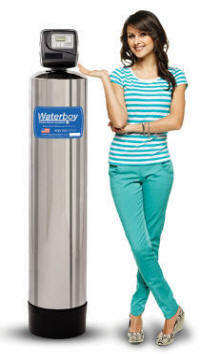 There is a WATERBOY™ whole house water filtration system to fit every family. All Waterboy whole house water filters feature the same pharmaceutical grade Granular Activated Carbon, Silica Quartz, K.D.F. 55 (Redox Media), external commercial Hydro Industrial fields module, double automatic valve, 1″ line built-in bypass, and 1 Fleck Electro mechanical automatic back rinse control valve. For municipally treated water only. Easily reinstalled to a new location. Prices do not include shipping ($100-$250), installation ($200-$400), or sales tax (in CA). Normal lifespan is 10-20 years, based on water volume and source water condition. Does not address Fluoride very well. 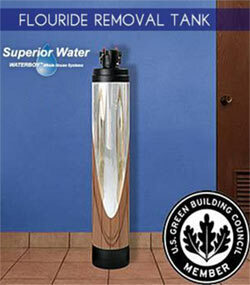 See the optional Fluoride Removal Tank below. Filter must be installed vertically (does not work in horizontal position) with inflow, outflow and drain in accordance with manufacturer’s recommendations to meet applicable building codes. Additional costs will apply if you want to operate the system outside USA on another voltage because you need special transformers. If you live in a 220V area please make sure to request a 220V a/c adapter for the main filter head. 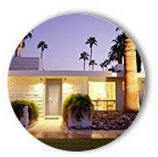 Dr. Clark preferred gas-powered water heaters over electric water heaters. Dr. Clark was concerned that electric water heaters pollute the water with metallic heavy metals that are emitted from the heating elements inside the electric heaters. When those heating elements quickly heat up to hundreds of degrees they inevitably pollute the water. Therefore Dr. Clark recommended people to get gas powered water heaters installed at the same time they install the whole house water filter. Gas powered water heaters heat the water "slower" and are lined with glass that protect the water from contact with metal. If you want to filter well water you are advised to install an inline UV Water Bug Eradicator system (call for purchasing those). 6,000 / 12,000 Sq. Ft. Ideal for 6,000 - 12,000 Sq. Ft.
12-20 Years with normal usage. 4,500 / 6,000 Sq. Ft.
3,500 / 4,500 Sq. Ft. Ideal for 3,500 - 4,500 Sq. Ft.
2,500 / 3,500 Sq. Ft. Ideal for 2,500 - 3,500 Sq. Ft.
1,600 / 2,500 Sq. Ft. Ideal for 1,600 - 2,500 Sq. Ft.
800 / 600 Sq. Ft. Ideal for 800 - 1,600 Sq. Ft. The Fluoride Removal Media System tank comes with high-grade fluoride removal media designed to completely remove or significantly reduce fluoride, sediment and/or particulate matter from all of the water entering your home for 3 years or 300,000 gallons. The Fluoride system utilizes over 70 pounds of high-performing, premium-grade media (known as Hydroxyapatite / Bone Char) which is considered to significantly outperform other fluoride reduction media such as “activated alumina”. The water supply passes through over 70 pounds of premium grade, high-performing media which is designed to completely remove or significantly reduce all of the fluoride typically found in city/municipally treated water for the whole house. Backwashes along with main unit. 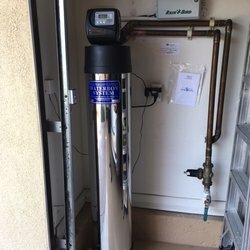 Once you have made the decision to order a Waterboy Whole House Filter, please contact us to make sure we have considered all your needs, including custom shipping quote, CA sales tax, etc... We will then email you an invoice for online payment... or you can use this form to provide payment and shipping details. Credit Card Orders are processed by Waterboy directly.